Winter isn’t quite over yet, and the convention season is just getting under way, but manga publishers have been busy during the quiet months, and they unveiled a round of new licenses in the past two weeks. Here’s a quick look. 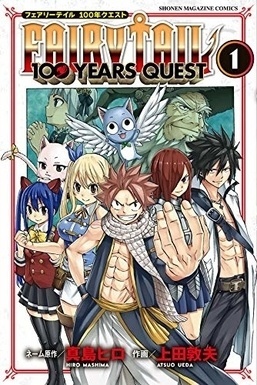 Fairy Tail: 100 Years Quest, the official sequel to the long-running Fairy Tail, will feature more antics of the wizards of the Fairy Tail Guild. Creator Hiro Mashima will plot out the story and design the layouts, with Atsuo Ueda doing the rest. The first volume will be out this summer. Cells at Work! Code Black is a spinoff of Cells at Work, which turned all the body’s cells into manga characters and sent them off on zany adventures. Code Black puts a new twist on the concept: While the original Cells at Work manga and anime were set in a healthy human body, Code Black takes place in a host who is older, drinks too much, and suffers from a number of different maladies. The series will be rated 18+ and will launch in summer 2019. 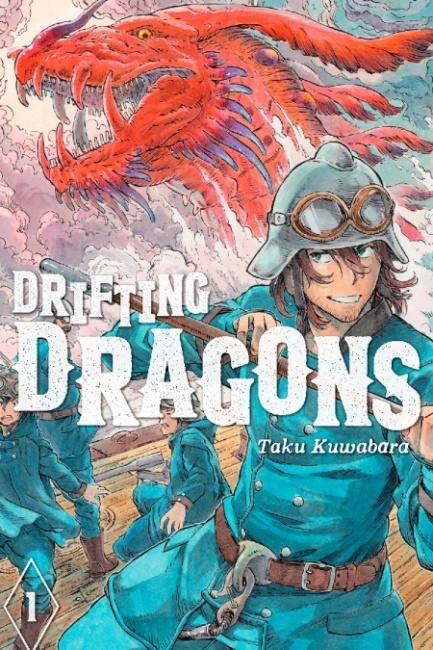 Drifting Dragons has already been released digitally by Kodansha, but their print edition will go on sale in time for the holidays. The story follows a group of dragon hunters as they scour the skies in their airship, the Quin Zaza. If I Could Reach You is a yuri story about a high school girl who struggles with her attraction to her brother’s wife. 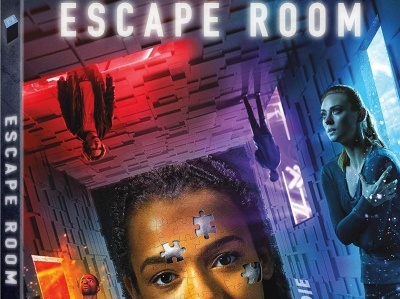 It’s scheduled for fall 2019. 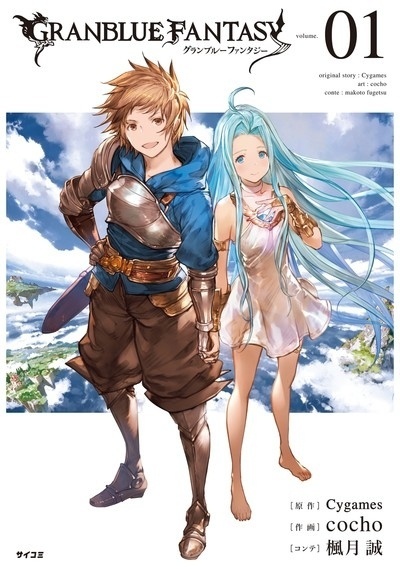 Granblue Fantasy is based on the RPG of the same name, with a story about a young man who is crushed by an airship and then revived by a mysterious young woman who is fleeing from the army. The first volume will go on sale in fall 2019. Dance in the Vampire Bund A.S.O. 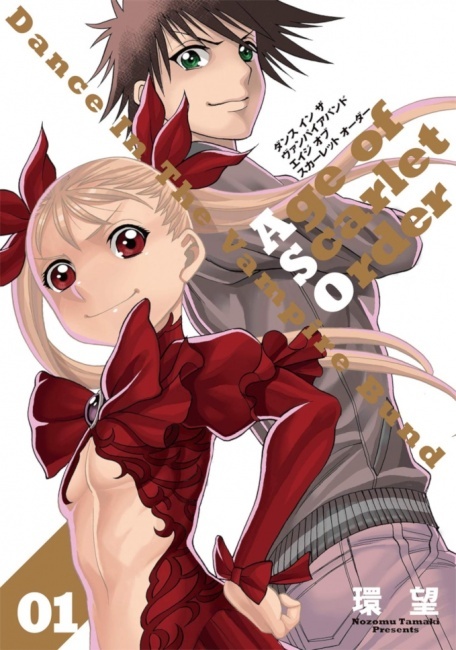 is a sequel to Dance in the Vampire Bund II: Scarlet Order, which in turn was a sequel to Dance in the Vampire Bund (all licensed by Seven Seas). 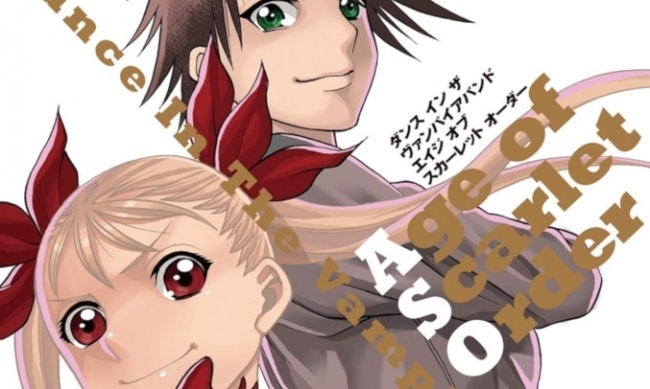 This series continues the adventures of vampire queen Mina Tepes and her werewolf Akira. The first volume will be out on October 8, 2019, with an MSRP of $12.99. Gal Gohan is a high school comedy starring teenager Okazaki Miku, a "gal" who wears wild clothes and bleaches her hair. She’s not much of a student, but when she cons her Home Ec teacher into helping her bake cookies for her other teachers, she discovers an unexpected passion for baking. The first volume of this food/fashion/slice of life comedy will be out on December 10, 2019, with an MSRP of $12.99. Kodansha also announced a Fairy Tail Box Set that will collect Vols. 1-11 of the original series, scheduled for a fall 2019 release, and a 25th Anniversary Edition of CLAMP’s Magic Knight Rayearth with a new translation, a color art book, and a lenticular print, which will go on sale in time for the 2019 holiday season. 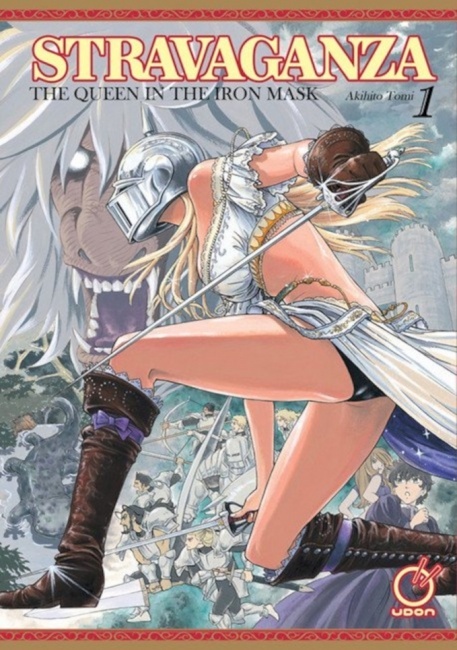 Udon: Udon has licensed Stravaganza: The Queen in the Iron Mask, a fantasy story about the adventures of a monster-fighting warrior queen. Udon will publish the series in two-in-one omnibus volumes. 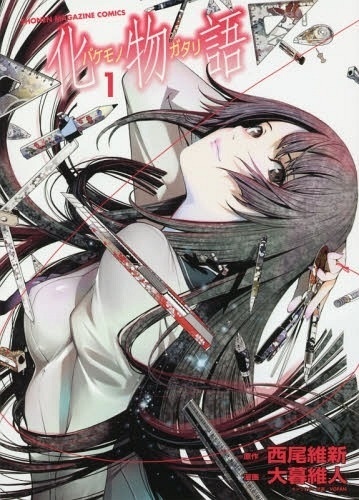 The first volume is scheduled for August 2019 with an MSRP of $19.99. Vertical: Vertical publishes novels as well as manga, and one of their standout series has been the Monogatari novels by the singly-named Nisioisin. The novels, which feature a teenage boy surrounded by girls with various supernatural troubles, have been adapted into anime already, and now Vertical has announced it will publish a manga adaptation of Bakemonogatari with art by Oh! Great (creator of Tenjho Tenge and Air Gear). The first volume will go on sale in October 2019. 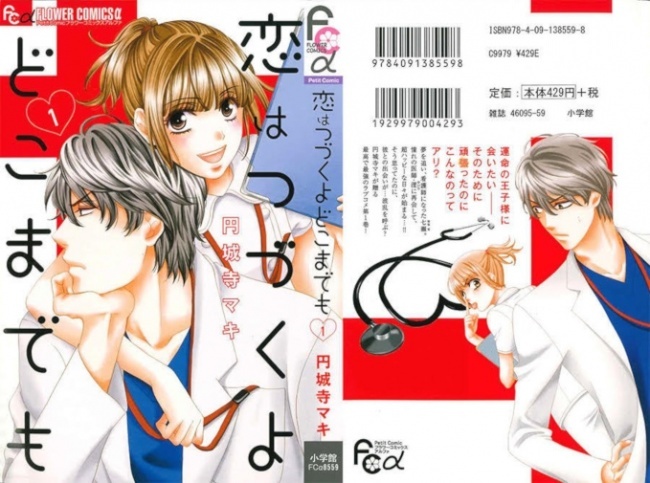 VIZ Media: VIZ announced it has licensed An Incurable Case of Love by Maki Enjoji, the creator of Happy Marriage?! and SP Baby. The new series is a medical romance about a young woman who is inspired to become a nurse after seeing a charming doctor save the life of a stranger. When she ends up working with him, though, he turns out not to be quite as perfect as he initially seemed. Although it’s in the Shojo Beat line, the series is mature-rated. The first volume is scheduled for October 2019. Click Gallery below for full-size images!